It seems that there is an overabundance of crazy stuff happening in the world today. Without getting political or specific, there seems to be a lot of negativity, sadness, and a seemingly endless supply of bad things happening to good people. During times like these, it takes members of our global village to rise up together and do whatever little part they can to contribute to a happier, healthier, and more prosperous community. In light of the sharp increase of families and people living in areas where food security is far from stable, one such way to give back to the community while helping others is to start a food pantry. A food pantry is a small, hyperlocal, and privately run organization that collects and distributes food and home items to families in need. Starting a food pantry is not as daunting or overwhelming as one might think, and the difference that it could make in the lives of your neighbors is immense. 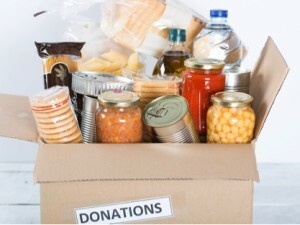 Here are a few tips on how to start a food pantry. First, here are the things you need to Do. 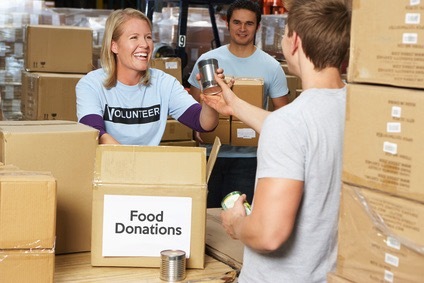 Do Your Research Every town and community has rules and regulations when it comes to the creation of a food charity organization. Meet with city officials and learn what regulations you need to adhere to. Do Some Soul Searching Understand what your mission is. Seems easy, right? Feed the hungry. However, ask yourself if there is a certain group of individuals that you want to help. Single mothers? Neighbors in your subdivision? Laid off workers? Find your tribe and find your mission. Do Your Taxes Not your taxes, really, but you do need to file for Tax Exempt status and take care of your business with the IRS. 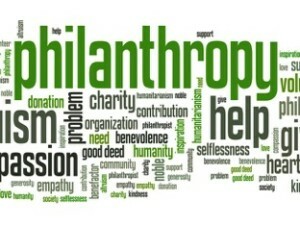 There are several Non-Profit helping organizations out there to help you with this step. Reach out for help if you need it. Next, here are the things you need to Find. Find Your Storage Yes, you need to find a place to store your food. You also need to ensure that it is a safe place to store the food, taking into consideration the size, the temperature, and the location of the food. Find Your Budget It might be a Non-Profit, but you still need a budget. Find out how much money you can bring in with funding, donations, and personal contributions. Once you know how much you can budget for, you can determine how many people you can help. Find Your Staff You can’t do this alone. You need volunteers, food drive organizers, staff members, and office help. Find Your Transportation Unless you are expecting people to come to your home or pantry, you will need to transport food and other items to those who need it. Find Your Records Be detailed, be precise, be meticulous. For every hour you spend collecting and distributing food, you should plan on two hours in the office accounting for it. This can be tedious work, but it is an absolutely necessary step. This is not an undertaking for the easily discouraged or quick to quit individual, but the rewards are huge and the difference that you can make in the lives of others is monumental. In this crazy world, it is the kindness of others that helps us stay in touch with our humanity.